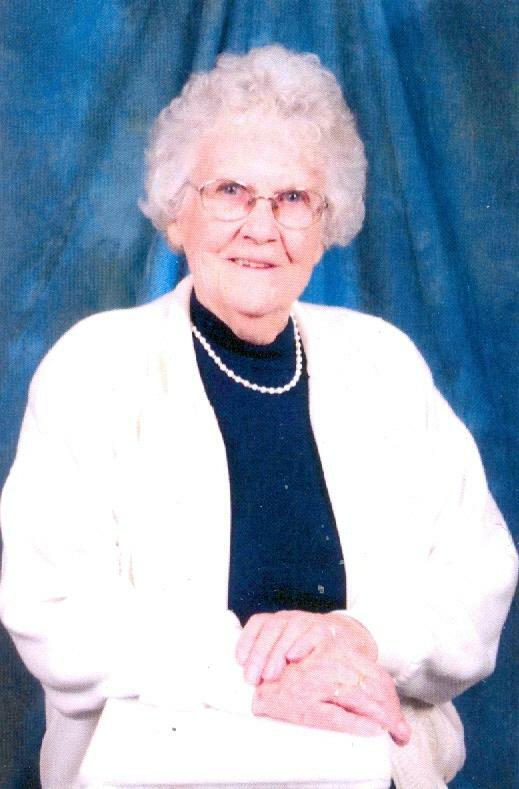 It is with great sadness that the family of Marguerite Alice McKenzie (nee Hickey) announce her peaceful passing on Sunday December 9th, 2018 age 98 at the Cumberland Regional Health Care Centre in Upper Nappan. Marguerite McKenzie nee Hickey was born in Brookdale, Nova Scotia on May 11th, 1920. She loved the family farm where she grew up, taking part of it home with her each year to decorate for the holidays. She didn't restrict her arboring to the family farm. On Sunday drives with 'Collie' she would often cause him consternation by digging up a bush on the side of the road she thought it might look better in her yard. She shared her love of the garden with her family, gently brushing the cheeks of her children with wild rose petals to give them color and collecting rain water to wash her hair. She was a caring mother, administering to the hurts and ills of her children. Usually with baking soda. Her wry sense of humor could catch you off guard and her blue eyes danced with happy mischief when she did. Whatever we might say about our Marguerite, whoever she was to us, our mother, our Granny, our friend, it will never feel like enough. There is just too much to say. She was steel, she was rose petals, she was dark skies and she was light. She was and is, so very loved. She was a charter member of the Catholic Women's League and was proud to be awarded the Archdiocesan Medal of Merit in 2005 for fifty years extraordinary contribution to the parish community of Nativity of our Lady. She is survived by her eight children, Kenneth McKenzie (Charlene), Sharon Pfinder (Donald), Lester MacKenzie (Lois), Gail McKenzie-Buchanan (Scott), Joseph McKenzie (Ruthann), Wanita Martell, (Jim) Neil McKenzie (Katherine), and Jane McKenzie (Brian), seventeen grandchildren, six great-grandchildren and three great-great grandchildren. She is predeceased by her children, Colin Jr. McKenzie, Jackie McKenzie, Ann McKenzie, and Thomas George McKenzie, husband Colin McKenzie, parents Jim and Elizabeth Hickey, brothers Joe Hickey, Bernard Hickey, and sisters, Mary Head, Theresa Creed, Stella White and Cecilia Hickey. A time of visitation will be held on Tuesday December 11th, 2018 from 2:00 – 4:00 and 6:00 – 8:00pm all held in Campbell’s Funeral Home, 98 Church Street, Amherst NS, 902-667-9906. A funeral mass will be celebrated at the Holy Family Roman Catholic Church in Amherst on Wednesday December 12th, 2018 at 11:00am with Deacon Howard Gotell officiating. Reception to following kindly provided by the CWL. Interment will take place in the spring in the St. Charles - Nativity Cemetery. In lieu of flowers memorial donations be made to the Saint Vincent de Paul Society. On-line condolences and sharing of memories can be forwarded to the family via www.campbellsamherst.ca or by visiting the funeral home Facebook page.